Adrienne Y. Shimonishi Elkind joined the firm as Counsel in July 2018. Ms. Elkind began practicing law in 1997, and brought to the firm her experience developed at small and large law firms in Honolulu. Ms. Elkind’s legal experience extends across the areas of real estate, commercial leasing, development, construction, energy, business, banking and finance. 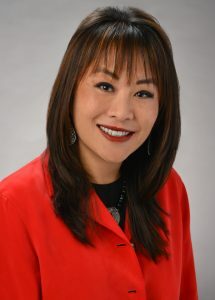 Her practice in the real estate area covers a broad range of matters, with particular depth in assisting clients with acquisitions and dispositions, leasing and licensing transactions and real estate development. International, national and local companies and individuals look to her for guidance with the purchase and sale of properties, development and project financing, secured and unsecured lending transactions, subdivision matters, encroachment and easement issues and other legal matters. In addition, Ms. Elkind has been involved in the real estate, finance, construction and other dimensions of renewable energy development, including for large-scale solar and wind projects. She enjoys assisting clients with all aspects of a transaction and uses her diverse background and collaborative style to guide clients around impasses and achieve creative solutions and effective outcomes. Ms. Elkind is licensed to practice in the State of Hawaii. She is a member of the Hawaii State Bar Association and the American Bar Association. Ms. Elkind is also a member of CCIM, Hawaii Chapter, and NAIOP, Hawaii Chapter. Ms. Elkind has served on the Board of Directors and as President of the `Iolani Alumni Association and as the Alumni Representative on the Board of Governors for `Iolani School, and has volunteered for the `Iolani Community Action Network. She has also served as a volunteer for the Hawaii Access to Justice program.